1. 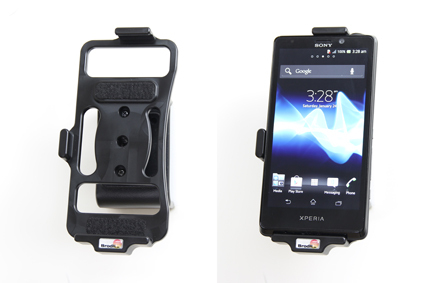 Sony Xperia T (For all countries). 1. 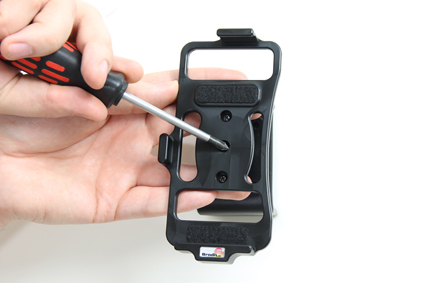 Unscrew the screw in the center of the holder. 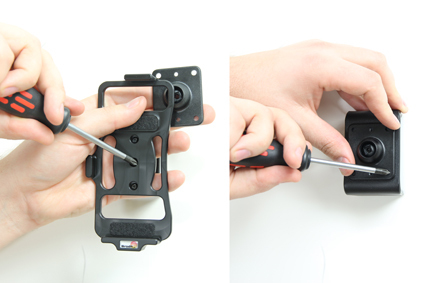 Remove the holder from the tilt swivel base plate. Place the base plate onto the desired position. Screw the base plate into place by using the enclosed screws. 2. Start to thread the center screw into the base plate. When you connect with the nut, pull the holder towards you to prevent the nut from spinning around. Tighten the screw firmly. Then loosen the screw sligthly for easier angling/rotation of the holder. 3. 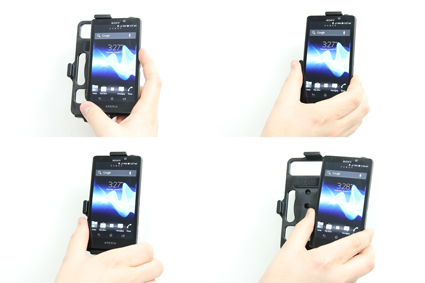 Slide the device into the holder. To remove the device from the holder, slide it out. Use the tilt swivel to adjust the angle.